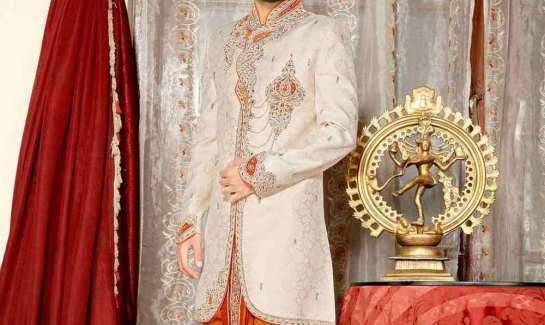 Buy Tuxedo For Wedding,Tuxedo in Delhi,Noida,Gurgaon,Chandigarh,Jammu,Dehradun,Haldwani,,kanpur,Bareilly. Fine suits have always been the highlight of a man’s status and confidence. 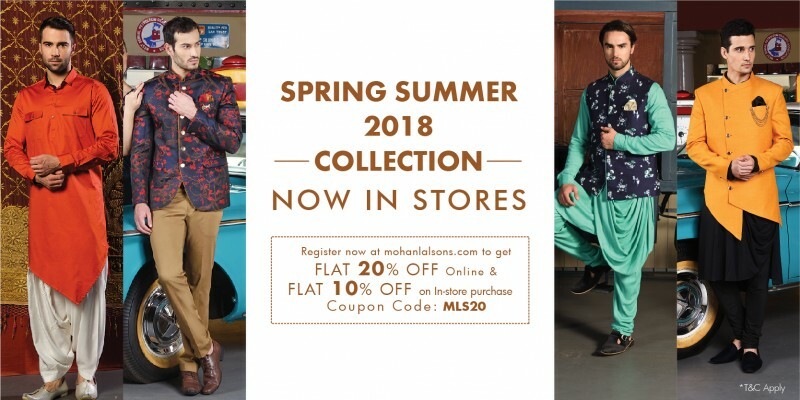 Inspired by luxury, perfection and fine tailoring, today’s modern tuxedos by Mohanlal Sons will give you the cutting edge you deserve. Our range ensembles fine hand tailored luxury tuxedos in velvet, wool, silk & premium tr fabrics with satin lapel, shawl or notch collar. 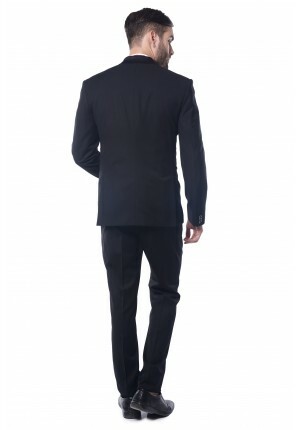 Tuxedos are perfect for any special occasion like cocktail, engagement, reception, Xmas/New Year’s Eve party or any other special evening. 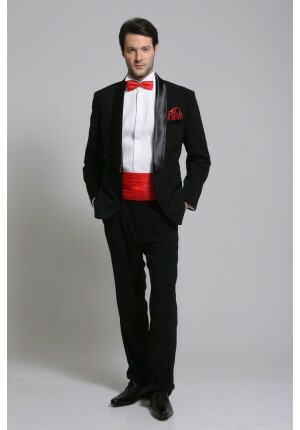 MLS makes Tuxedos super stylized with matching bow tie and pocket square that sets you apart from others. 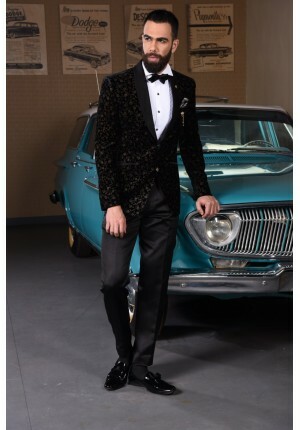 This black and gold velvet tuxedo suit which has foil print on it and black satin label. 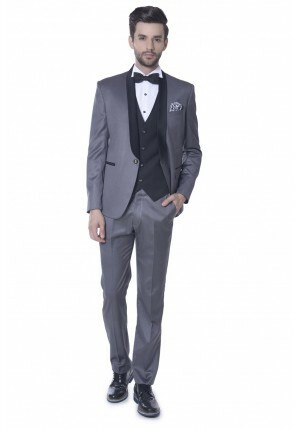 This tuxedo..
Exquisitely designed for modern men,this grey tuxedo smooth finish.This Tuxedo is styled with black .. 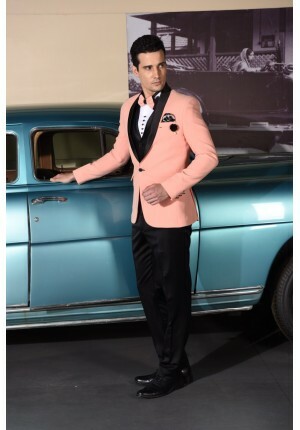 This peach colored tuxedo is made using banana crepe fabric. 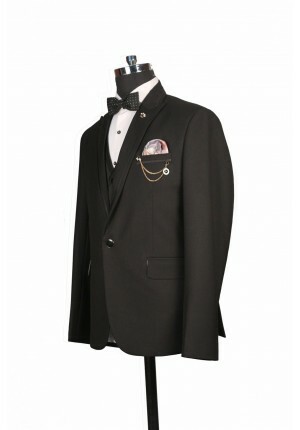 This 5 piece tuxedo includes black wais.. 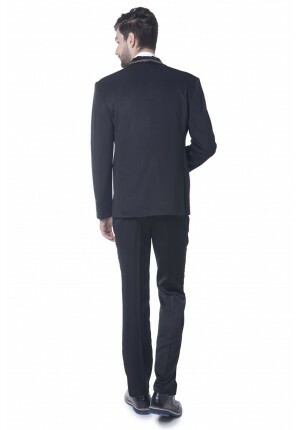 This Black Co loured Tuxedo is made using Cotton fabric. The 5 PCs Tuxedo includes Coat, Wai..
Black tuxedo with satin lapel and contrast maroon thread detailing.It includes black trousers,white .. 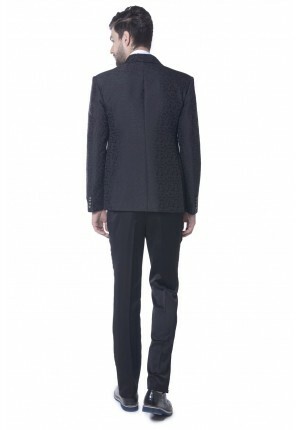 Designer Tuxedo made out of texture fabric with brocade detailing and black pleated lace at shawl co.. 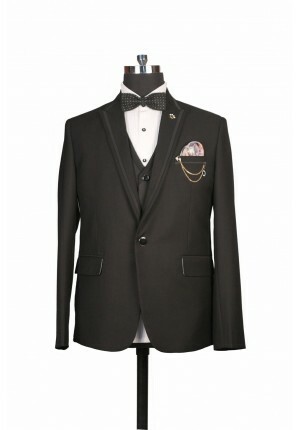 This 5 piece tuxedo suit of jacquard fabric and a polka dot bow tie will certainly send you a .. 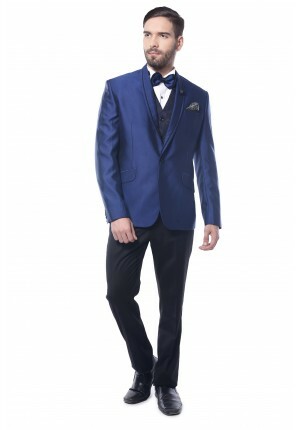 This Blue Coloured Tuxedo is made using TR fabric. 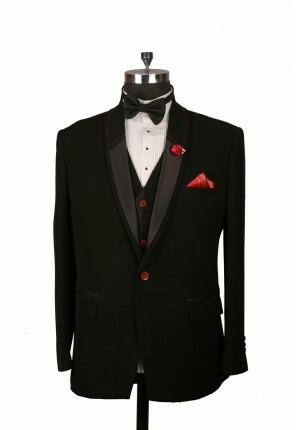 The 5 PCs Tuxedo includes Coat, Waistcoat.. 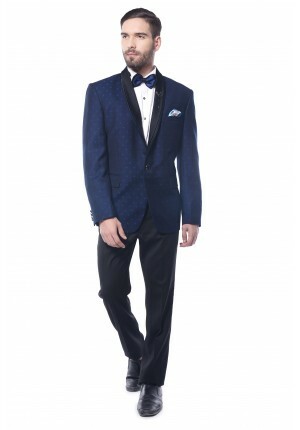 This is blue velvet tuxedo suit embellished with black net work all over the coat. Black lapel in f.. 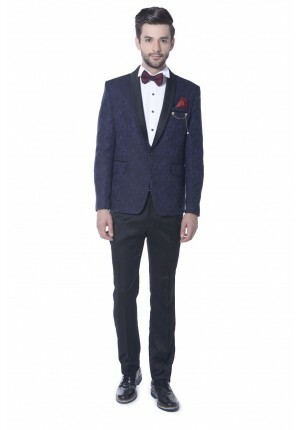 This blue textured tuxedo suit which has rose motif texture on it and it is paired with blue velvet .. 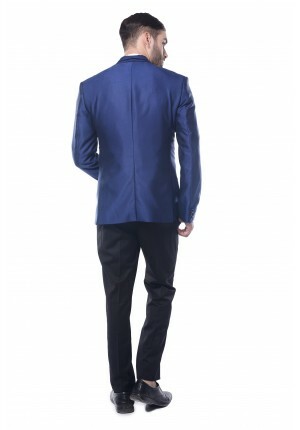 This blue velvet single breasted one button tuxedo suit has rose print textured on it and blue satin.. 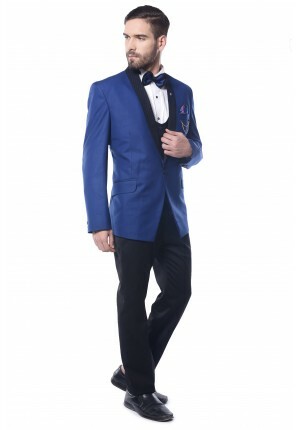 This Blue Co loured Tuxedo is made using Cotton fabric. 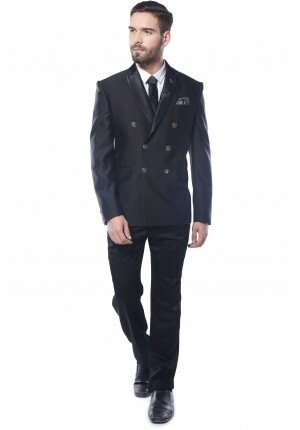 The 5 PCs Tuxedo includes Coat, Wais.. 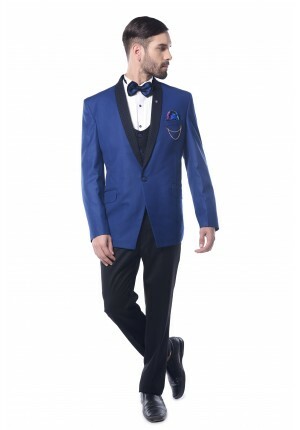 This Blue Co loured Tuxedo is made using Cotton fabric. 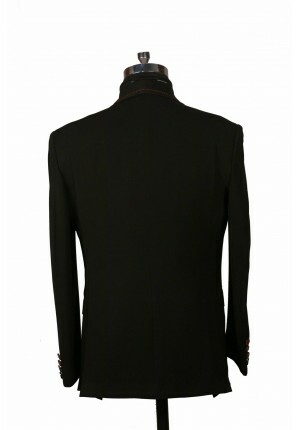 The 5 PCs Tuxedo includes Coat, Waistcoat,..